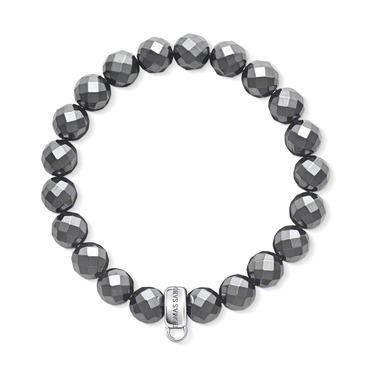 This Beaded Bracelet from the Thomas Sabo Charm Club range is made of sparkling Hematite beads and has a length of 17.5cm. This bracelet features a Sterling Silver carrier to which any Thomas Sabo Charm Club charm can be attached. This Sabo bracelet comes beautifully packaged in a Thomas Sabo presentation box so it will make the perfect gift for a Thomas Sabo collector.